Due to construction, Routes 4 and 10 (via Jenifer) will not serve stops on Winnebago St. between First and Sixth streets. 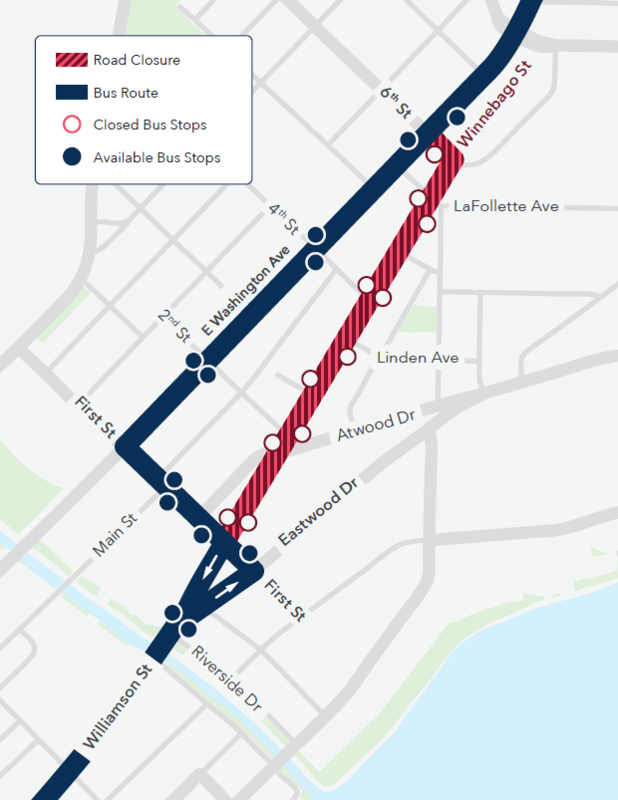 Buses detour via E. Washington Ave. Passengers can board at temporary stops on First St. near the Eastwood/ Williamson intersection, or existing stops on E. Washington Ave. at the Second, Fourth and Sixth streets. Construction is expected to start on Tuesday, April 30, however this is subject to change. Stay updated.